The PCE-CT 28 coating thickness meter / gauge for cars is used to measure the thickness of paint and plastic of ferrous or non-ferrous materials without damaging the coating surface. The coating thickness meter / gauge stands out for its high measurement range. It is an ideal device for paint or lacquering fields regarding production, automotive body repair or quality control. The coating thickness meter/gauge can be used to detect damages to vehicles. This device is also essential for the quality check in shipping and receiving and during the production process. 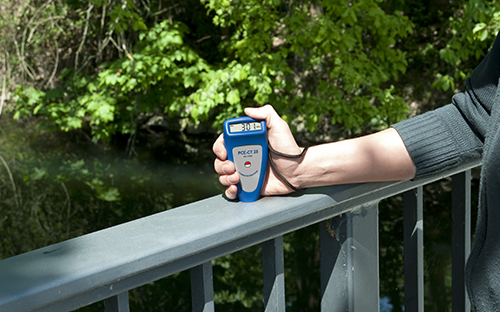 It is ergonomic with an integrated sensor and shows measurement results quickly and accurately. It is designed for non-magnetic coatings such as plastic, chrome, zinc, copper, etc. as well as insulations such as rubber, plastic, glass and paper over steel, iron, aluminium, brass and stainless steel. Thanks to its wide measurement range, the coating thickness meter is ideal for the naval and metal industries. 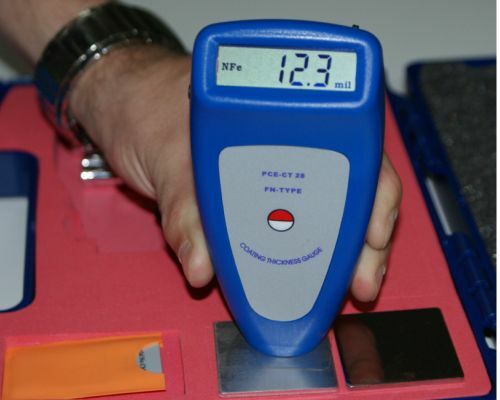 At this link you can find an overview of all types of coating thickness meters that you may need. Place the device on the top of a surface and read the value. It's easy to read the thickness of paint, plastic, laminate, chrome, copper and brass upon steel, stainless steel, iron, and non-ferrous metals such as copper, aluminium and brass. Thanks to the accessories that are included in the delivery, it can be calibrated at any time. Simply place the device on top of one of the calibration tiles. Ensure that the device is set correctly and flat while doing a calibration. Non-destructive tests are used with the coating thickness meters to detect the manufacturing quality of the material. The first advantage of the non-destructive tests is that it is possible to accurately measure the thickness of non-conducting coating of a metal. The coating thickness meter can be used for almost all ferrous and non-ferrous metals. This coating thickness meter is also used to measure thin layers of diverse materials such as paint over conductive substrates. Coating is a process which involves the application of a chemical product in liquid form or a formulation directly on a substrate or by transfer to one or more surfaces in order to obtain some specific and functional properties of the material. Coating can be classified in two types: veneer and plastic coatings. When veneers are used, they are called capping board while plastic coatings are called coated board. Coatings are mainly used to improve particle and fibre boards. Both sides of the board should be covered with the same or similar coatings to avoid board decompensation and distortion. Coating: To place a layer of any material in order to protect or decorate a surface. Thickness: The width or length of a solid object or the density of a liquid or gas. 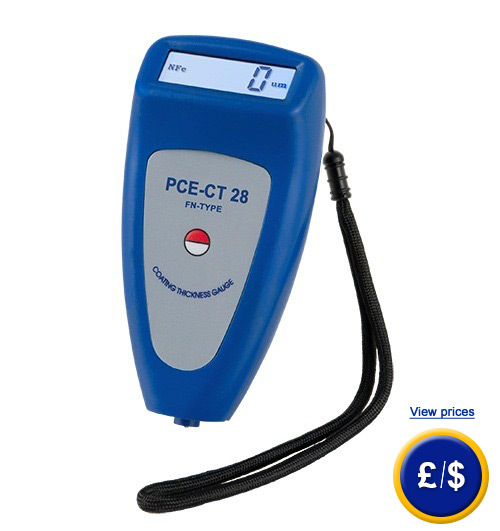 The PCE-CT 28 thickness meter is mainly used to detect damages in used vehicles. 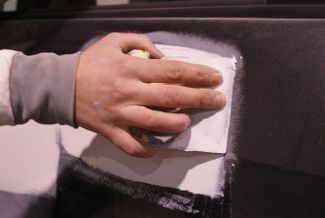 When a vehicle plate is damaged, the most professional way to get a good base on which a paint finishing is applied is to use filler or body putty to fill in irregularities and small dents which are on the vehicle surface. 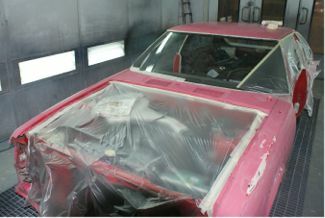 A good implementation of the body putty will prevent subsequent defects in the paint finishing. Mix the body putty with a catalyst to speed the drying. Apply the putty on the affected area. Create the original form of the piece with the sander. however, the thickness of a repaired area is over 400 microns. The PCE-CT 28 coating thickness meter emits an ultrasonic signal which rebounds from ferrous and non-ferrous materials. The PCE-CT 28 coating thickness meter is able to measure the distance between the vehicle plaque and surface by detecting the distance in microns in all the standard materials used to repair damages due to accidents such as: lacquer, paint, putty and the vehicle plaque. Measuring along different areas, you can determine if there are any important differences between the diverse measurements and discover if the vehicle has had any accidents. 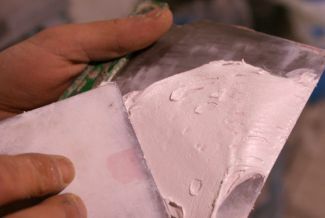 Nowadays, putty used in painting works is called “body putty” because the binder is unsaturated polyester resins which hardens by a chemical reaction of polymerisation when a catalyst is added. bration and a document with all the measurement values.